Last weekend, my favorite adventure partner & I went on some hikes. One was in the Badlands about an hour away. 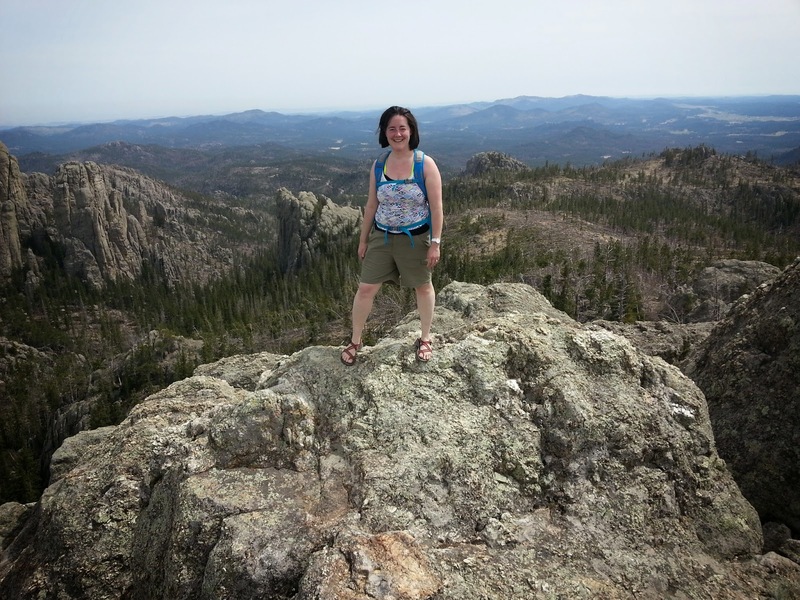 The other up to a rock called Little Devils Tower in Custer State Park in the Black Hills. What a beautiful day it was for a hike in our own neighborhood! Unfortunately the poor pine trees along the trail were dead, dead, & DEAD. Due to terrible pine beetles & a huge snow storm last October. The trail was not the prettiest thing, however, the top of the "tower" was magic. Some parts of the trail were pretty rocky. This part was comparable to our caving experience in Romania. Kam gives it a thumbs up! Put your hands in the air if you think this is a breathtaking view! Note our new his&hers matching backpacks. We bought them online at Sierra Trading Post, our new favorite spot for adventure gear. Yes. There is 3G on top of the hill. The hike was pretty short, but steep at the top. Oh how we love hiking together! 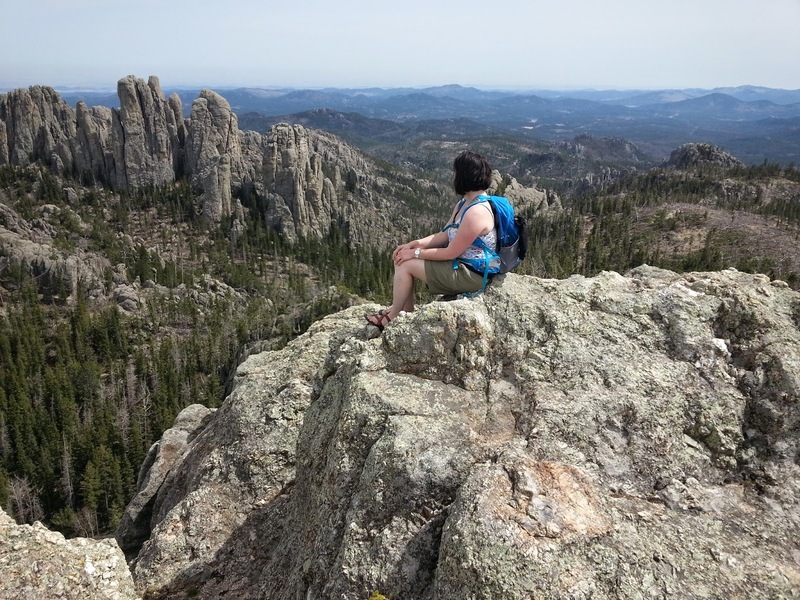 The Little Devils Tower trail-head is located inside Custer State Park. about a mile from Sylvan Lake, along Highway 87 aka Needles Highway. 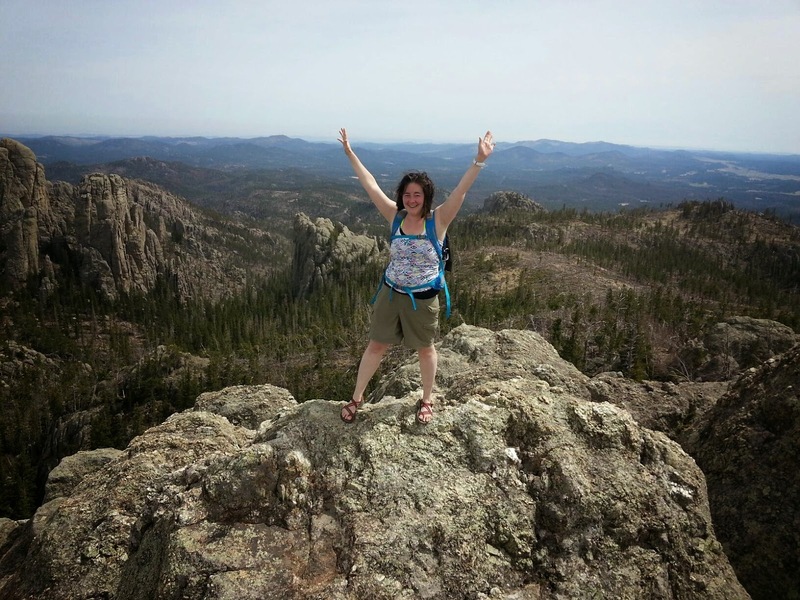 Within sight at the top of the trail, is Harney Peak, the highest peak east of the Rockies. (The very peak where the two of us got engaged).